The 2019 Firefly Music Festival begins Friday, June 21. The 2019 Firefly Music Festival will bring headliners Panic! at the Disco, Travis Scott, and Post Malone, along with more than 100 other acts, to Dover, Delaware, next summer. Panic! at the Disco, will be the headliner when the three-day festival kicks off on Friday, June 21, leading a pack of '00s-era acts, like Death Cab for Cutie, Dashboard Confessional, and Vampire Weekend. The 2019 Firefly lineup also will feature TLC, the all-female 1990s R&B trio that most recently dropped a Kickstarter-funded, self-titled album in 2017. Other big musical acts scheduled for the weekend include AWOLNATION, Courtney Barnett, DJ Snake, Lykke Li, Philly band Hop Along and Tyler, the Creator; . 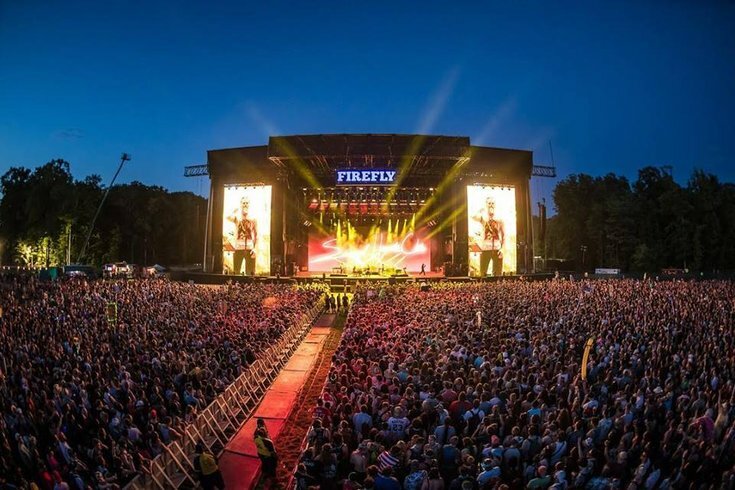 The Firefly Festival started in 2012 and has grown to attract about 60,000 people each year, many of whom opt to camp on the grounds at The Woodlands of Dover International Speedway. Concertgoers can opt for a pass for the full weekend, which starts at $279, or day passes, which will go on sale later. Passes for the full, three days go on sale Friday, Dec. 14. This year Firefly is also selling shuttle service from nearby cities through Bus.com, including two pick up points in Philadelphia, at the airport and The Bourse Building. The cost to ride the shuttle is not yet available. Check out more details on Firefly here.